Alright, So as you may already know Samsung has finally unveiled their new Flagship Device, the much awaited “Samsung Galaxy S8”. The Phone has recently been launched by the company globally and in India as well. If you remember the last Flagship launched by the Company was Note 7, well we all know what happened with it. R.I.P. Anyways, it seems like Samsung’s destiny is not with them. Samsung Galaxy S8 has also reported a problem. Though it’s not terrible this time. Samsung Galaxy S8 seem to have a red screen issue. This is certainly visible. 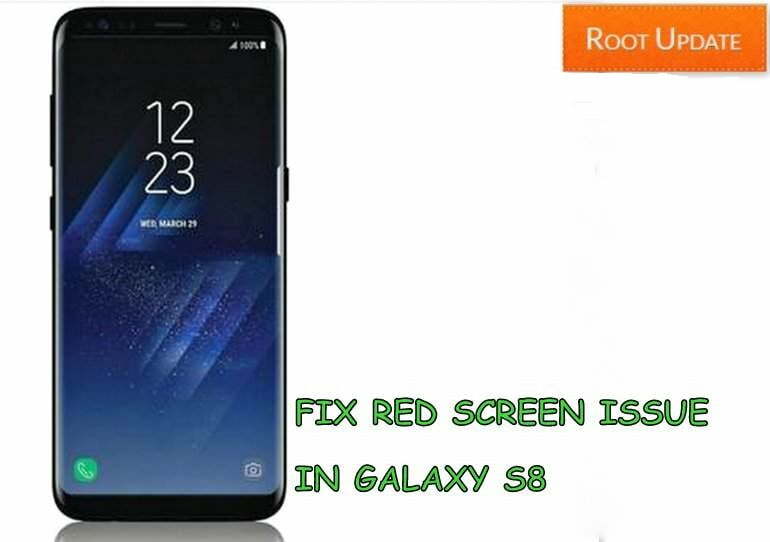 The Users were not happy with this red screen tint issue on their new Samsung Galaxy S8 so they reported it to Samsung. “All Samsung phones are tested by the developers and undergo many testing phases. The Infinity Display on the Galaxy S8 and S8+ comes with super amoled displays which provides vibrant and rich colors, which enhances the viewing experience of users. So the Solution they come up with is that if you are having any such issue then simply go to Settings > Display > Screen Mode > Color balance and adjust it as you wish. This will help you to fix that red screen issue. This feature of Setting Screen Colors was seen previously on many devices like Xiaomi Redmi Note 3. If for some reason adjusting your Galaxy S8’s color balance doesn’t resolve the issue, you can take it back to your carrier or retailer you purchased the handset from to get it replaced for another unit. That’s all we have for the Solution we have for the red screen issue in the Galaxy S8. Let us know your thoughts in the comments below.